João Nuno Fonseca provided, on the 2017/18 sports season, exclusive consultancy services to the Football Services for the clubs owned by City Football Group (CFG) – Manchester City FC (ENG), New York City FC (USA), Melbourne City FC (AUS), Girona FC (ESP), CA Torque (URU) and Yokohama F. Marinos (JPN). 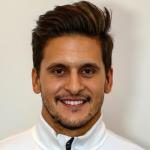 He has a 10 years experience in Soccer Analysis having worked in the Aspire Academy (Qatar), Qatar Football Association and Académica OAF (Portugal). He is also an expert on SportsCode ELITE and Coach Paint (ChyronHego).